Thanks to quick-thinking protesters and bystanders carrying cellphone cameras, Web surfers around the world quickly learned the story of what happened at UC Davis on November 18. The event began with students concerned about local issues (university budget cuts and tuition hikes) and a national struggle (Occupy Wall Street) staging a sit-down protest. When they refused to budge, the day’s most dramatic moments came, as campus police wielding canisters of pepper spray gassed the unarmed youths, then removed them from the area. Still and moving images of this confrontation appeared online within minutes. One of the still photographs, which showed Lt. John Pike spraying students nonchalantly, went viral and has become the best-known icon of the OWS movement. Its popularity as a meme has inspired widespread comparisons to other iconic images, including the so-called “Tank Man” photograph of 1989. That image, captured on film by a Western journalist using a conventional camera (he subsequently worried that Chinese security forces would confiscate the roll), was linked to a very different struggle that also involved protesters occupying and then refusing to vacate public spaces—Tiananmen Square and the central plazas of other Chinese cities. The iconic Tank Man photo, taken on June 5, 1989, captured the standoff between a young Chinese worker and a line of armored vehicles—a standoff that was also shot by several other photographers and captured on video. The standoff occurred in central Beijing, where a massacre the day before resulted in the deaths of hundreds of students, workers and members of other social groups. That photograph is now the first thing that many people living outside of China think of when the word “Tiananmen” is said. And it is possible, as James Fallows and other commentators have suggested, that mention of “Occupy Wall Street” will in the future bring the Pepper Spraying Cop photo to mind in the same manner. These two iconic images of protest and repression are being brought together in various other ways online. For example, as Josh Chin noted in a November 25 post for the Wall Street Journal’s“RealTime China” blog, there is a joke circulating on the Chinese Internet that has Obama being criticized for American police using pepper spray against protesters and responding by asking rhetorically whether using tanks would have been better. In the West, meanwhile, a doctored version of the Tank Man photograph, which shows Lt. Pike lending a hand to the soldiers of the People’s Liberation Army, has been showing up on websites. In light of this, it is worth asking two things. How much do the images really have in common? And did they become embedded in the popular imagination in parallel or dissimilar ways? A good place to begin this comparison is by focusing on two things about the Pepper Spraying Cop meme that seem completely distinctive to the 21st century: the speed with which it took off and the varied forms it has taken. Within minutes of the Davis students getting sprayed in the face, the action was being described in innumerable emails and tweets, and images of it had been placed onto countless Facebook pages. The first YouTube postings of video and Photoshop parodies, showing Lt. Pike interacting with famous historical and fictional figures, quickly followed. In less than a week, the image was hard to escape. If you turned on your TV late in November, you could see a Fox News commentator misidentifying the noxious gas used at Davis as a “food additive,” Joy Behar of The View likening Lt. Pike’s action to those of the National Guardsmen responsible for the Kent State killings, and Martha Stewart having fun with her image and the news story du jour by appearing on the Today Show, wearing protective headgear and demonstrating a new way to dress a Thanksgiving turkey — by blasting it with pepper spray. Online you could stumble on images of the Pepper Spraying Cop gassing everyone from Jesus (in an altered version of da Vinci’s Last Supper) to Yoda. Even a trip to a theme park did not guarantee a meme-free day. On a November 23 visit to Disneyland, I was surprised to hear the wisecracking Genie in the Aladdin show describe the villain Jafar as having a special compartment for pepper spray in his staff. References to Disneyland, Martha Stewart, Kent State, and Fox News suggest that the Pepper Spraying Cop meme quickly became entwined with specifically American symbols, but there were international aspects to its evolution as well. In early online commentary on the Davis event, much was made of it having taken place at the same time that crowds and soldiers were confronting each other in Egypt. And as Josh Chin noted in his blog post, footage of the Davis violence even made its way onto Chinese television newscasts. And the usually staid official newspaper of China’s Communist Party, People’s Daily, ran a selection of Pepper Spraying Cop mashups — though not, of course, the Lt. Pike and the Tank Man one, since all allusions to the June 4 Massacre and what occurred just before and just after it remain taboo on the Chinese mainland. The Tank Man image did not gain global traction quite as quickly in the late 20th century, nor did modified versions of it proliferate as fast. And yet, the contrast here is not as dramatic as one might assume. For though the Tank Man photograph was taken before the Internet age, the way that awareness of it spread and uses of it expanded was not unlike that of an online meme. In 1989, much was made of how, thanks to satellite television (one of the main “new media” of that day), people in many parts of the world were able to follow the Tiananmen protests in real time. And when the Tank Man’s actions were caught on film, this anonymous figure became globally famous in what seemed then amazingly short order. Turning to the Tank Man’s varied uses, we see again a process that parallels what has happened with the Pepper Spraying Cop photographs, though in that case it took months and years to accomplish what transpired this year in the course of hours and days. Within a few years of 1989, the Tank Man image had appeared on T-shirts, been evoked in an episode of The Simpsons (that showed one of Homer’s sisters-in-law standing in front of a line of tanks), and even inspired a dance routine performed by the late Michael Jackson in one of his concerts. Modified versions of the image had been used to sell products and incorporated into a wide range of political cartoons, including one, inspired by a conflict between Beijing and the Disney Corporation, which had Mickey Mouse facing off against the armored vehicles. The Tank Man iconography has even made its way into publicity drives for struggles that have had nothing to do with China, including the pre-Davis phase of the Occupy Wall Street struggle. Just before the confrontation on the Northern California campus, the Huffington Post was polling its readers on the question of whether they thought it appropriate or off-key that a poster calling for support of the November 17 OWS “Day of Action” had shown a lone man standing in front of three tanks, one of which had “Wall Street” emblazoned on its side. These parallels are intriguing, but we should not let them blind us to several things that make the Tank Man and Pepper Spraying Cop icons fundamentally dissimilar. For starters, the Chinese iconic image appeared after a large number of innocent people died and as a movement was ending. The image of the Tank Man inspired international sympathy for the Tiananmen activists, but with the army out on the streets in force and large numbers of arrests taking place, this act of individual bravery could not serve as a rallying point for new protests in 1989. In contrast, the repression of OWS has involved injuries but no massacre, and the Davis incident has energized the OWS struggle. The Davis students of November 18 have begun filing lawsuits and will surely remain in the public eye; the Tank Man, by contrast, disappeared in the immediate aftermath of having his picture taken, and just what happened to him remains a mystery. Another important difference relates to domestic press coverage. The Chinese government initially tried to put its own spin on the Tank Man standoff. State television showed footage of the tanks pivoting to keep from running him over, claiming that this “proved” that the army had shown great restraint in early June. Later, however, a complete ban on references to the Tank Man was introduced. In the United States, on the other hand, the use of pepper spray at Davis and in response to OWS protests in various cities has been and remains the subject of a wide-ranging public debate in the press. Last but not least, in the Davis case, there have been statements of regret by university officials — albeit ones that some students and faculty (myself included) believe have not always come fast enough or gone far enough in championing the principle of freedom of speech. And the University of California has created a commission to examine the way that the officers behaved — albeit one whose composition has been criticized for being headed by a former police chief. Needless to say, there were no Chinese counterparts to these things in 1989. The only official investigations carried out were ones that led to the persecution of protesters. And the Chinese government denied that the PLA had done anything wrong. I agree wholeheartedly with Calhoun, someone with whom I have co-authored essays on Tiananmen in the past, and I’m confident he would agree with me if I added two things to his argument. First, while the OWS social movement differs from the Chinese one of 1989 in many ways, there are parallel concerns that have tended to be overlooked. Yes, China’s activists were fighting for expanded individual freedoms and greater democracy within a one-party state, but their fury at corrupt officials and people with family connections to Communist Party leaders getting a disproportionate share of the material benefits of the country’s economic take-off echoes in some ways the 1 percent vs. the 99 percent rhetoric we are hearing in the West today. Second, though, it is one thing for state actions to result in protesters being injured and shaken, but still able to continue to struggle for change, as happened at Davis, and quite another for state actions to silence forever the voices of large groups of people who were working to improve their society, as happened so tragically in Beijing on the day of the June 4 Massacre. Central plazas were key places for political action in 2011, but historian Jeffrey Wasserstrom says the Town Square Test fails as a method for assessing the divide between democracy and authoritarian. 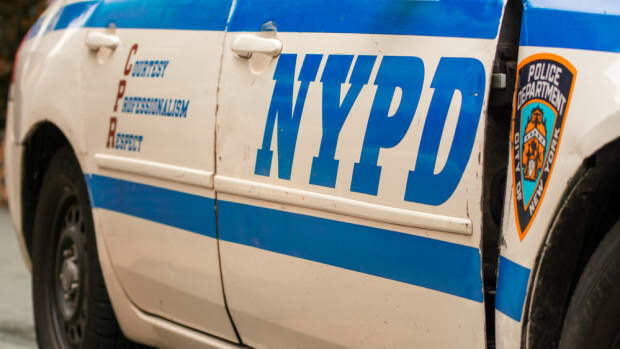 A blog hosting posts from former and current New York City officers reinforces the worst kinds of stereotypes. The author of 'China in the 21st Century: What Everyone Needs to Know' doffs his oracular hat when asked to predict how China will react tomorrow to a whiff of Jasmine Revolution today.